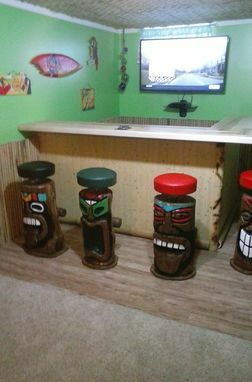 Client wanted Tiki Bar Stools for his home bar. 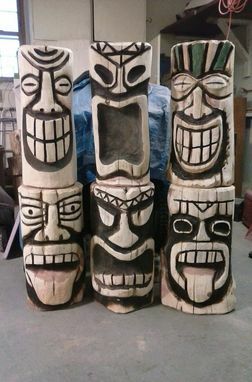 Theses were made from Red Cedar logs. 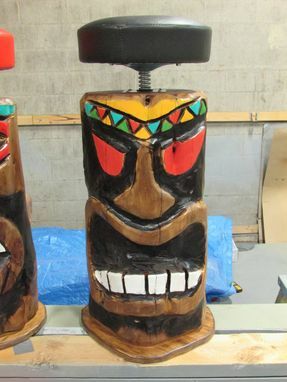 They can be customized to color, stool or not, with or without footrest, swivel, or whatever you would like. No matter what the request I'm sure I can help you out. 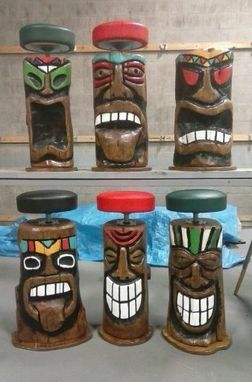 Listing price is for 1 individual bar stool. 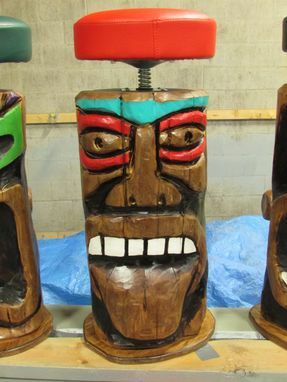 If wanting to order without the seat and just have an awesome tiki man the price will be $300. Ryan is an excellent craftsman and is very considerate regarding communication and schedule. I am thrilled with this final product, which is now the centerpiece of my kitchen area!